The start of a new year is a convenient milestone to celebrate while at the same time reviewing your lead generation tactics. 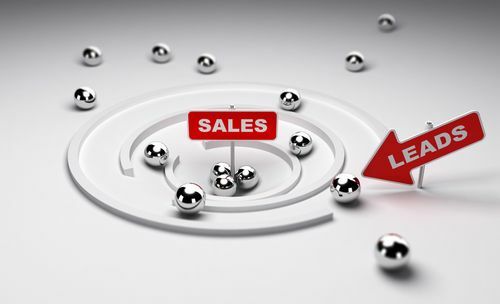 Here are four of the most basic principles of lead generation. If your lead generation system is falling short in any of these areas, take the time to revamp your techniques and ensure the consistent practice of the fundamentals. Provide valuable, useful information: Start the business relationship off right by offering something of substance. This will make your initial offers both helpful and valuable to the widest range of customers possible. Understand that your customers want a solution to a problem, and your products or services are how those problems get solved. Offer informational videos, white papers, how-to articles, instructional guides and other material along with your initial marketing. Make sure the right people see your offer: An offer presented to the wrong group of potential customers will be a waste of time and resources. There is, for example, little use in offering a college-age male audience products and services that would be more appropriate for a new mother. Use market research and appropriate SEO procedures to make sure your attractive offer is seen by those who will be most likely to need and respond to you. Tell your audience how to take action: Every offer needs a call to action, a statement that urges potential customers to take the next step (call for information or visit a website, for example) and tells them how to do so. Whether your action is strong or subtle, make sure your marketing makes it clear what to do next. Follow up professionally: When a potential customer indicates interest in your products or services, follow up in a personal and genuine way. Since you’re working on building a relationship, ensure you look and act like a company with whom a relationship feels proper. Hard-sell techniques or anything that suggests blatant marketing will feel out of place and can cause potential customers to turn away. What can you do in the new year to reinforce the fundamentals in your lead generation systems? A pen ‘set along with a mug, or office table stationery is a good idea. the elements or kids who tend to be the hardest on their mobile devices. as for the job they are being paid to do.